Before now, this great radio app had some issues on major windows phones to the extent that it got removed from the Appstore but now it has been restored back especially for newer windows phones that runs on latest windows 10 Operating System. 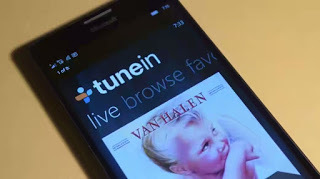 The popular world 🌍 radio service, TuneIn radio 📻 , is now on Windows store and its expected to work perfectly both on windows PC and Phones. It is worthy to note that the first release of this app only worked on PCs and when tested on phones, a lot of issues were noticed but the recent update has fixed those bugs and you can now download it both on your PC 💻 and phones 📱.